Hey, what’s up views? Thanks for tuning in for this week’s post. This time after building down in the valley I decide to move up in the world! How would I do that? 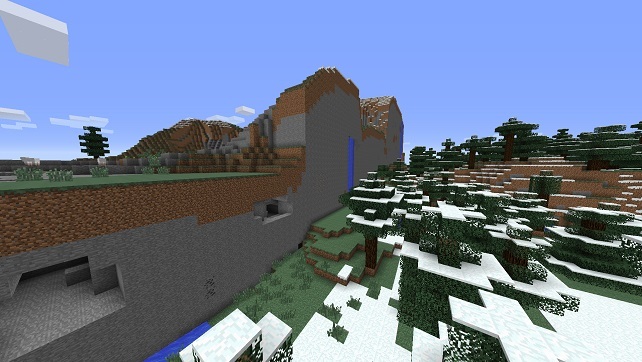 Simple, by building in a extreme hill biome! 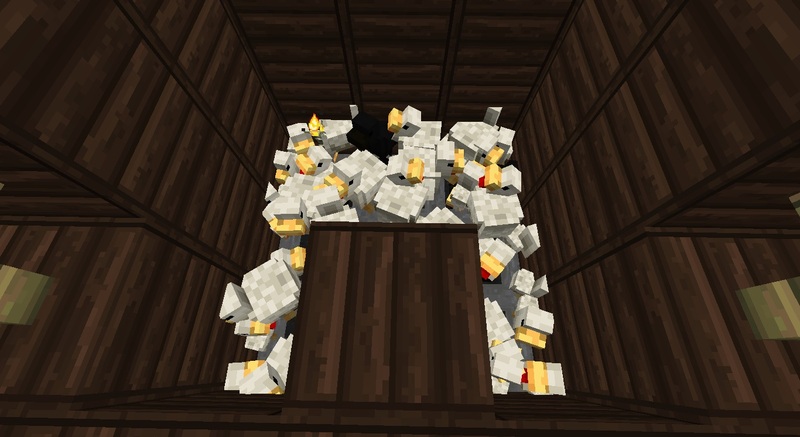 I spent a good amount of time harvesting enough wood for my house, as well as cobble and coal to smelt stone bricks. 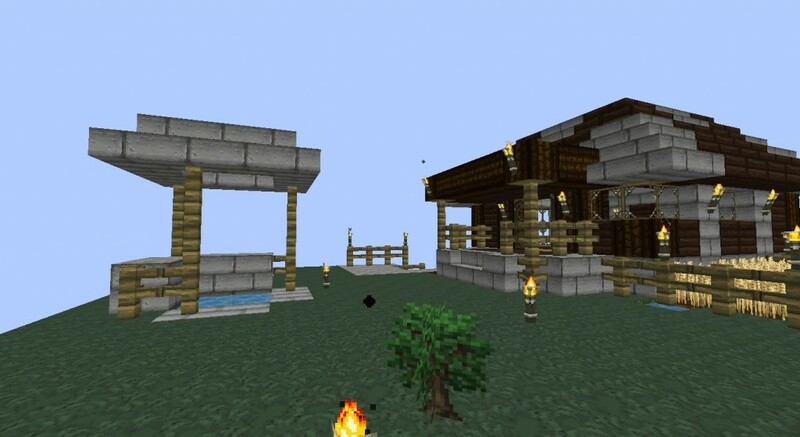 Here is just what I had to start with, my house in the middle right, next to a wheat farm for bread and the like with a well to the left of it all. Why a well? Why not have a well? Makes getting water easier for crops and other things that I have planed for my little house. My chicken pen! Yes those are hoppers, for when they lay eggs and I’m not there to pick them up! The chicken camp has been built! The amount of eggs I get and the exp and food…is like ridiculous. I spent a day fishing and came back to a full chest of eggs, then threw them all at the chickens and gained like…13 levels from killing most of the adults. 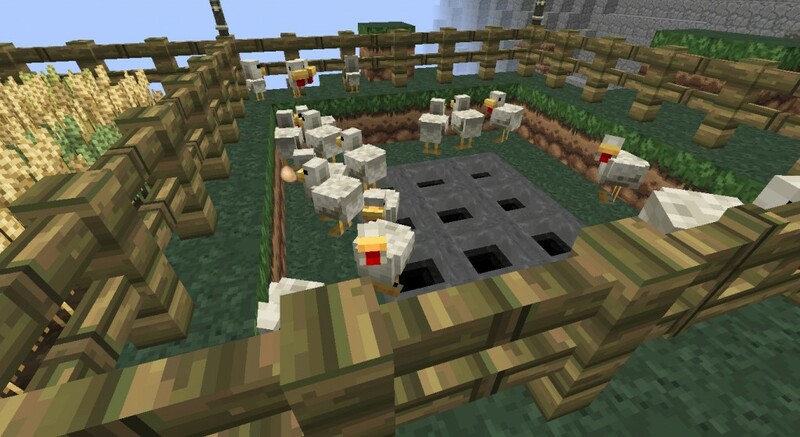 I am not cruel…Only sometimes and that’s towards chickens because they are so annoying. lol. This is what the rest of the farm that I’m working on looks like at the moment. Still planning on adding more to it! Again, thanks for reading, watching, and tuning in! One day I do plan on making a video of something that I do on Minecraft, waiting on a few mods to update so my fps goes up and my laptop can handle the lag! The next post should be fun to read! All about transforming areas and making them better! You’ll see what I mean next week, till then take care!